When we are trusted upon the responsibility of doing art conservation services for an active religious site, we tend to get a mixed feeling of gratitude and anxiousness. Gratitude is generally because of the ingrained faith we might have for the sacred site and anxiousness because of the huge level of responsibility that is shouldered upon, considering the emotional attachment of masses towards the site. Emotions generally cannot think smooth and we had to deal with numerous emotional concerns throughout the project. Apart from these, there is always a religious organization involved. Though the intentions of both the religious body and conservation professionals working for and with them lead to the same goal, but still, there are some little conflicts initially in understanding each other’s approach to the same goal. Shri Harmindar Sahib Ji (The Golden Temple) reflects the timeline of history of Punjab and the Sikh community (Figure 1). It is a living history of the Sikhs spread all over the globe and the region of Punjab. Sikhism is a comparatively modern religion with a global vision. It rejects polytheism, superstition, priesthood and cast based social hierarchy and gender discrimination. The religious history of this sacred place has been traced back to pre-historic times by an ancient Hindu legend found in one of the Puranas (a class of Sanskrit sacred writings on Hindu mythology and folklore of varying date and origin). The site was rediscovered by the Sikh Gurus. The Sikh tradition associates the place with the itineraries of Guru Nanak Dev Ji. According to Giani Gian Singh, the date of Guru Nanak’s visit to the site was in AD 1502. The idea of establishing a place of pilgrimage was conceived by Guru Amar Das Ji (third Guru of Sikhs). Aura of Sri Harmandar Sahib Ji is beautiful not only with various artistic embellishments and paintings but also because of melodious devotional (hymn) songs being recited continuously. Golden temple is the acme of the Sikh architecture. All of its walls and ceilings contain fine art work (Figure 2, 3). Wall paintings of Sri Harmandir Sahib Ji were originally executed with the technique called Mohra Kashi (fresco painting). The walls on which these frescoes were executed were of bricks baked to a fresh looking red and were laid in sand-lime mortar. Lime was the basic material in the preparation of the surface. It was applied on the wet walls, Plaster made of slaked lime and sand was driven well into the joints and then beaten all over with a long strip of wood (called garmala) edgeways until it became plain and slightly dry and thus ready to receive the coat of intonaco, the finely grained plaster layer covering the rougher arricio. After the plaster became a little dry and sticky, it was polished with an agate polishing stone until on the surface the drawing was cast. But, the paintings that we see now on the walls are not the original frescoes but overpainted on the original frescoes (Figure 4). The style and pattern of the wall paintings is unique and elegant. It is called sikh school of art. The most prominent of the variety of pattern categories is ‘Dehin’, a medium of expression of the imaginative study of the idealized forms. It has been borrowed extensively from Hindu and Muslim traditions but depicted them in their own way and in a totally new setting (Dr. Madanjit Kaur). The wall paintings at Sri Harmandar Saheb Ji have been re-painted or restored many times in past and need to be comprehensively analyzed before going for further restoration/conservation. In our very first visit to assess the paintings, previous retouching was quite obvious in initial observations (Figure 5). The backgrounds were repainted to cover its dirty white look. Even the flowers, birds and other motifs had been over painted at the points where they might be flaking off (Figure 6). Most of the retouching of the walls of the parikrama area were in water based colours, but the repainting of the background colours of the ceilings and arches was with a thick coat of some synthetic medium. An important point to note here is that up until 2013 the concept of treating old deteriorating paintings was not known at Sri Harmandar Saheb Ji. They were repainted or overpainted most of the time. This was done with all good faith and intentions. Since last few decades the beautiful wall paintings of Sri Darbar Saheb Ji, last over-painted by artist, Bhai Atma Singh, have been retouched by various people to cover up the flaking off paints. The earlier frescoes by artist, Bhai Gyan Singh, were very meticulously created in true fresco technique. When they would have started getting deteriorated, need for their restoration was identified, but at that time people in charge did not know fresco restoration and preservation techniques. Artists were commissioned to correct or repair or redo the art work. So, artists with calibre and dexterity like Bhai Atma Singh worked and overpainted all the walls. The organization taking care of the temple is Sromani Gurudwara Prabandhan Committee (SGPC). It is very important to understand how it functions, in order to execute the conservation work at the temple. Most of the on-site SGPC staff is to manage and discipline the pilgrims. They make sure that people wash their feet in the clean water provided at all the entrances of the temple. They also make sure that every person’s head is covered when they are inside the temple. They make sure of a lot many disciplinary rules of temple. They also help old, and specially abled people in reaching the sanctorum and safely taking them out to their vehicle. The big challenge was to make the authorities understand the difference between renovation, restoration and conservation. Even harder was to convince the importance of initial analysis (like Digital Holographic Speckle Pattern Interferometry, Infrared Thermography, FTIR, XRF analysis etc.) before starting the actual work. It was another big challenge to make the general public and the organizations involved to distinguish between conservation and regular cleaning and repairs performed as housekeeping jobs. Most of the daily cleaning rituals at Sri Harmandar Sahib Ji are good housekeeping regimes and help in ever clean and shiny look of the temple. People from all walks of life come day and night to help keep the environs and structure of the temple clean and sparkling. They do this seva (service) out of devotion and faith. As professional conservators, we find that in over enthusiasm of serving, some devotees forget that they need to know if they are cleaning or damaging some beautiful work of art. For example, we have seen many devotees cleaning wall paintings with wet cloth/towels. This can be very damaging! Celebrations and festivities are a regular and very frequent feature of Sri Harmandar Saheb Ji. On every festival, mainly Guruparvs (one of the Guru’s birthday or some important milestone), there are floral decorations on the walls and ceilings. Devotees engaged in such decorations use various means to hold the floral chains and bouquets on to the walls. These are mostly not good for the paintings. The bouquets and garlands are generally wet and touch the walls that have intricate paintings on them. Apart from the decorations, the huge rush during celebrations is another concern. ‘Sevadaars’ are standing on duty at short intervals from the point you enter the temple to the main Darbar Saheb Ji (sanctum sanctorum) where Sri Gurugranth Saheb Ji (the holy book of Sikhs) is seated. They make sure that you dip your feet in the clean water flowing at the entrance and that you cover your head and are comfortable. One thing that they cannot interfere in is the number of people visiting. Many a times during festivals and holy dates, the rush is too difficult to handle, even though there are a great number of sevadar’s try to manage the crowd. This is of concern and it was suggested that a study should be conducted to find out that how much weight the vertical and horizontal elements of the structure can bear. This is more important because this structure (even the ground floor) stands on verical columns and not on complete ground. Since the building was originally constructed when there was no electricity, all the wiring was running on the walls or even hanging haphazardly at many places. This is not only aesthetically unacceptable but also very dangerous for the lives of the temple staff and visitors. Everyday, Darbar sahib Ji’s program is telecasted on Air India Radio and Television channels. The equipment and cameras are nicely placed and adjusted, but wires are again problematic. The problem of wires might get sorted out to some extent with the new wiring being arranged inside the molding of the glass frames of the paintings. These three categories are not uniform as far as extent of damage is concerned. Category 1: Paintings that were covered with glass and are not varnished. Most of the paintings on the wall panels were covered with glass. North-east wall panels have the maximum damage as well as the maximum un-ethical intervention to hide the flaking and losses. In south-west, the damage is mainly on the panels facing the windows. These wall panel paintings have maximum damage, but one helpful factor is that they have not been retouched that extensively and with varied media as in North-eastern wall panels. South-Eastern wall paintings are least damaged as compared to other three large walls. Arches of the window niches were all covered with varnish. This varnish had aged and hence was not only yellowed, but also very brittle causing cracks and flaking. Removing the hard and dark varnish was a challenge as we had to do the job without letting the hard cracks/flakes to break and/or fall off. Category 3: Paintings that are hidden under stubborn layers of dark grime. The paintings that were hidden behind thick layers of grime were the ones that were open to all the vagaries of weather as well as human touch/vandalism. Even before cleaning we could make out that these were heavily retouched, rather most of them completely overpainted with paints of various different media and solubility. There was no way we could remove these upper new layers without damaging the little whatsoever original paint layer left. In any case, there was hardly any original paint layer left in these areas. These are mainly the painted areas in the arches. These were the most damaged areas because they were neither protected by the varnish layer and nor by the glass. What all we could do to save the art was to trace the patterns, follow the left out particles of original pigments and redo the art work. Microscopic analysis – Microscopic analysis helped in observing and confirming the previous retouching. It also helped in looking at the surface deformities more closely. Chemical analysis – Various chemical tests were performed to confirm the composition of the pigments. The details of which were shared and discussed with the authorities. Literary records – A very few literary records could be found. We find a lot being published about the faith of Sikh religion and history of the Golden temple, but extremely less (almost nothing) in published or unpublished form regarding the art work. There were areas where we were provided a narrow window of forty minutes at night for work. Treatment on one particular corner could not be completed because of this restriction. Since the paintings were in mixed media rather than just water based, same cleansing agent was not effective at all places. Ethanol and water mixture – At many places cleaning with ethanol water mixture was enough to remove grime. But at most of the panels this was not enough because the grime was too stubborn. Triethanolamine – Most of the cleaning of these wall paintings was accomplished with triethanol amine (TEA). The strength that we used for cleaning varied from panel to panel. Most of the wall panels could be cleaned effectively with 2% solution. In case of ceilings, somewhat stronger solution of TEA was required as the lower strengths were not working effectively. Acetone – Acetone was tried to remove the yellowed varnish from the outer window arches. But this was not only a very slow/time consuming process, but also not that effective as volatile acetone was not staying enough on the surface to act effectively on the old and stubborn varnish. So we tried to make a gel that was based on acetone and a few other cleansing agents. Gel – An acetone based gel was created specifically for the varnished window arches. The stubborn and brittle varnish needed more time span to be in contact with the cleansing agent to soften and hence get removed. This was the basic reason why we had to try gel based cleansing formulae. Paraloid B-72 – Solution of Paraloid B72 was used to fix layer of flaking paint. It was quite effective at many places. It was applied with the help of syringe or with brush. Cyclododecane was used in two areas as a pre-consolidant. It provided a good stability to work/clean on the area before another consolidant was used. Calcium hydroxide nanoparticles were also tried at places. They worked well at many places, but not everywhere. Special conservation grade lime mortar was used for most of the fillings and consolidation. Injection grouting and even filling of the gaps was done with this special lime mortar. The results have been quite satisfactory as it has no efflorescing salts, no corrosive agent for colours and has ease of cleaning and removal in case of leakage. As per the ethics of conservation we followed the concept of ‘minimum intervention’. On most of the wall painting panels, only in-painting was done in the lost areas. There was no retouching done over the original paint layer. But, in the areas of window arches, pillars and staircases, where damage was excessive, it was decided after the discussions with officials that background should be retouched to avoid the patchy look that was affecting the ambience of the sacred monument. In most of the panels the glass covering was put back with new wooden moulding and a better glass. Since this was taken out of the scope of our work, we could not do much about the kind of glass that was put and certain other factors like making it air tight or not and how to control the trapped moisture, if any. The curved areas which were varnished earlier had to be given some kind of protective coating. Another area that needed protective coating was in the staircases. We tried two options, Paraloid B72 and Fluoline HY. We finalized on Paraloid B72 for all the window arches and Fluoline HY for staircases. Fluoline HY was preferred over Paraloid in the staircases because it has an advantage of being graffiti proof and water and oil resistant. Since the staircases are narrow and the rush at such a sacred site is too much most of the time, it is not possible to avoid people avoiding touching the walls. This is why being scratch and water and oil resistant helps. 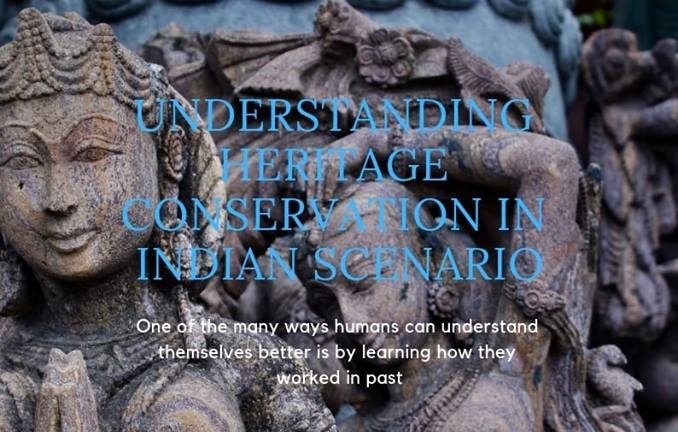 For the first-time Restoration and Conservation work was planned and executed by a group that had an ideal social diversity (that is, individuals with a diversity of race, ethnicity, gender, religion and academic specialization). This group had to co-ordinate with an organization which was quite homogenous in almost everything, from ideas (religious and professional) to appearance. The discussions were initially on the Methodology and Approach which later on moved to many practical aspects like controlling the sangat (group of devotees), people doing seva everyday, media interference, required dissemination of information etc. The ‘Sikh Rehat Maryada’ is a code of conduct and conventions for Sikhism, approved by the Shiromani Gurdwara Parbandhak Committee (SGPC), Amritsar in 1945. How relevant and rightly is ‘maryada’ understood? Is there a need of right education and understanding of ‘maryada’ by the devoted youth and all? Regular meetings with SGPC ensured smooth working of the conservation team. SGPC helped in many ways such as providing immediate help from their various workshops and departments (Figure 7). They have separate workshops for woodwork, electricals etc. The conservation team and SGPC worked efficiently in sorting out solutions to whatever problems we faced on site. We agreed to work wearing traditional clothes. This decision was made a couple of months after we started our study at the temple. We had to cover our heads all the time we were inside the temple. Our work-related activities should not disturb the prayers going on all through the day. Many people sit there in meditation which should not get disturbed. All the staff had to follow maryada or rules of cleanliness, mannerism and vegetarianism. For the area where sangat is present all through the day, we were given a window of forty minutes at night to execute our conservation treatment work. Religious sites have a huge part of history living and breathing in their rituals and structures as well. By preserving the art and structural elements, we link the past of the culture with its future. This requires a great deal of involvement of various sections of our society; the devotees, the religious body, the business associations, conservation professionals and more. This study is an attempt to share the challenges faced by a conservator in such an endeavour. This work experience has educated us that while working with such a sublime site we need to go and study beyond the current theoretical aspects of conservation to save our rich past for the future. This article is written on behalf of a complete team of conservation at the Golden temple. The author is grateful to each and every team member of all the teams that worked with her for nearly three years at the temple. Kaur Madanjit. 2013. The Golden temple past and present. Revised ed. Amritsar: Guru Nanak Dev University.